Burkina Faso has launched West Africa’s largest solar power plant- Zagtouli solar power plant. This is in a deliberate move by the country to boost renewables and cut energy dependence on its neighbours. The US $56.27m project has been funded in part by US $ 29.6m donations from the European Union and a loan of US $ 26.6m from France’s development agency. The West Africa’s largest solar power plant sits on a 55-hectare plant at Zagtouli on the outskirts of the capital Ouagadougou. It will provide 33MW sufficient to power tens of thousands of homes in the country. The plant has been undergoing testing for the past six weeks producing 14 MW. However, production is hopefully going to reach a peak of 33 MW in December depending on available sunshine. Currently Burkina Faso imports electricity from Ivory Coast and Ghana which is sometimes unreliable. The country aims at meeting 30% of its electricity needs from photovoltaic solar panels by 2030 with plans to become self-sufficient in electricity production. Plans are underway for a 17 MW extension at the Zagtouli site to take overall production capacity to 50 MW. 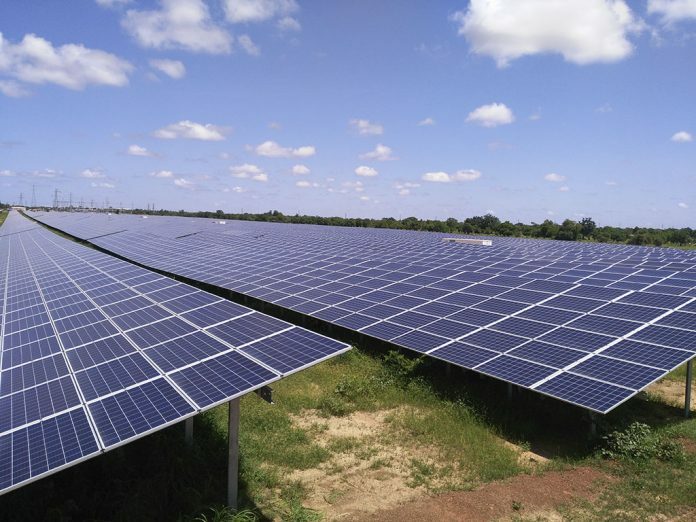 Other schemes in the pipeline include two solar plants, one further west at Koudougou (of 20 MW) and a 10 MW version at Kaya, northeast of the capital. AFP reports that Cegelec, part of the French firm Vinci Energies, built the facility, designed to be a pilot scheme.